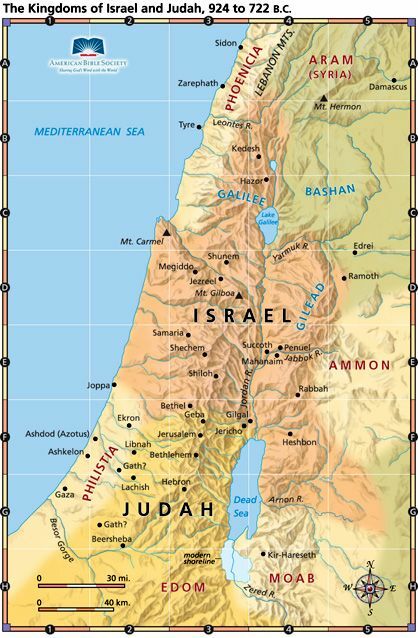 Using geography to study the Bible can add a new dimension to Bible study. Where is Shechem, or Shiloh located and what did they look like in various times of biblical history? Is this a question you ever asked yourself as you read through the biblical text? I know that in times past I often read over place names in the Bible without ever giving them a second thought. Not only were they sometimes difficult to pronounce, but where they were and what they looked like didn’t seem that significant to the story. In other words, using geography to study the Bible never occurred to me. I think my experience is similar to many others. Ask yourself, “How many times have I looked up a biblical city in a concordance, then, after finding all of its occurrences in the Bible, read the various stories connected with it in both Old and New Testaments?” After all, how important can the ancient geography of the Bible be to my life? Some books and articles that have appeared over the last few years argue that using geography to study the Bible can make a big difference in your understanding of Scripture, which, in turn, will have an impact on your life. 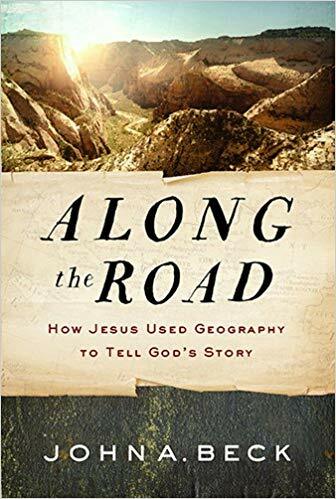 One such book Along the Road: How Jesus Used Geography to Tell God’s Story, by John A. Beck, encourages using geography to the study the Bible. Beck is an adjunct faculty member at Jerusalem University College in Israel and has led many excursions to various biblical sites to teach the lessons that can be learned through the geography of the land. He notes that Bible study often uses different systems of organization such as chronological, or theological, but invites the reader to take a different approach. His challenge is to…”think how your reading and study might change if you organized the contents of the Bible geographically” (p. 20). Anyone who’s been to the lands of the Bible knows how valuable it can be to see the places where certain events took place. Using geography to study the Bible comes quite naturally when visiting Israel. Anyone who has been on a biblical tour of Israel will have, in a sense, studied the Bible the way Beck (and others) are advocating. For example, a visit to the City of Dan (for more about Dan see my articles here and here) will usually lead to discussions that include the time of Abram (Gen. 14:14), the time of the Judges (Judges 18), and the beginning of the kingdom of Israel under Jeroboam I (1 Kgs 12-14). Similarly, when touring Jerusalem stories about David, Jesus, and the early Church will dominate the discussion, even though some of these people and events are separated by centuries. The biblical geography has a way of tying people and events together. Last year I did a review on another book which advocates using geography to study the Bible. My review of the Lexham Geographical Commentary on the Gospels can be found here. 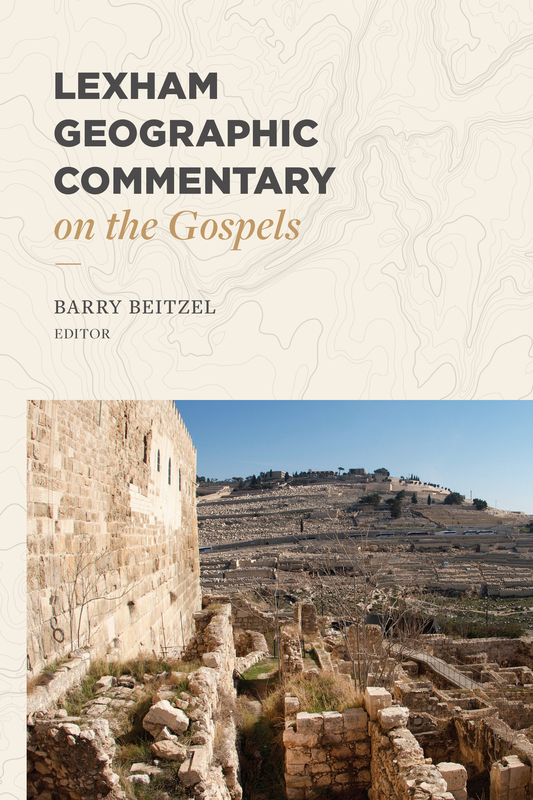 Editor Barry Beitzel points out that the Bible is unique among holy books for its concern with geography. He writes, “This tendency to incorporate the spatial dimension into a narrative actually sets the Bible apart from most other holy writings” (xiii). Along this same line, Paul H. Wright states, “Its sacred and literary contexts notwithstanding, the Old Testament is a text about people living in real places (i.e., geography) over time (i.e., history). These are realities that impact our understandings of the meaning(s) of the text, and it is from them that points of relevance for modern readers, including theologians, arise” (“Introduction to Historical Geography,” p. 6 in Behind the Scenes of the Old Testament: Cultural, Social, and Historical Contexts, eds. 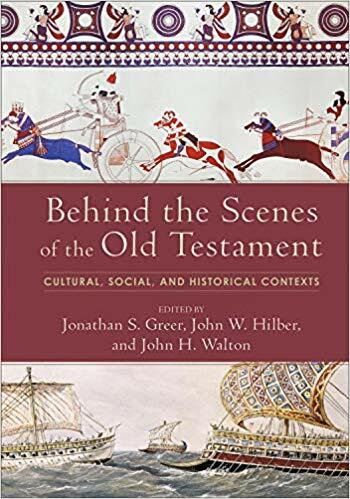 Jonathan S. Greer, John W. Hilber, and John H. Walton, 2018). But how does a knowledge of biblical geography aid me in understanding the Bible? In my post on the Lexham Geographic Commentary I referenced a couple of quotes by Emily J. Thomassen. 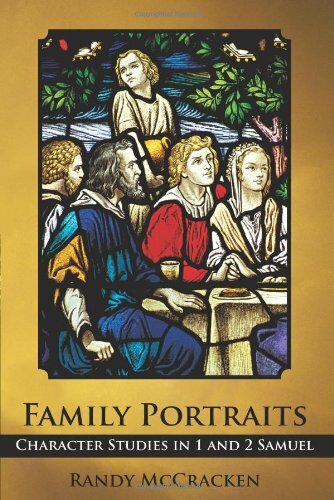 She asserts, “In biblical narrative, authors often mention place names in order to communicate a message of theological importance.” Again she notes, “In the ancient world, authors strategically used, reused, and nuanced geographic references in order to impact the reader” (p. 248). John Beck has some practical questions that every reader should ask when using geography to study the Bible. 1. Other than place, what do the passages have in common? Think in terms of people, events, and the words and phrases that make up the text. 2. Do the passages that share a place also share a theme? 3. Do the geographically linked passages of the Bible build on one another, teaching a lesson God wants us to learn? The best way to illustrate the significance of using geography to study the Bible is to give some practical examples. I plan to do this in future posts on this blog. However, I also want to take the opportunity to announce that some of the upcoming episodes of the podcast, Beyond Reading the Bible, hosted by myself and Lindsay Kennedy, will also address this subject. So if you’d rather listen than read, then check out our podcast! You can also check us out on Facebook right here. The episodes are slated for sometime later this Spring. You can catch the announcement of these episodes by following me on Facebook, Twitter, and Linkedin, or you can follow me and Lindsay at the above links for Beyond Reading the Bible. Until then, let me encourage you to break out your concordance and check out all the occurrences of a particular place in the Bible (Hazor, the Wilderness, Gaza, etc.). Then use Beck’s questions above as your guide and see what you learn! The other books mentioned in this post are listed here. Check them out for more in-depth study. Ahh, this will be really good. I appreciated when Gentry taught my OT II class why Ahab’s move to Samaria was so detrimental for the northern kingdom. Looking at geography, Ahab moved north of the mountain range that made trade with Tyre and Sidon difficult. Once trading became easy, Ahab got possessions, cultural and religious ideas, and, of course, the wife of a priest of Baal. All because Ahab skipped the mountains. That’s a really interesting insight Spencer. Thanks for sharing it!